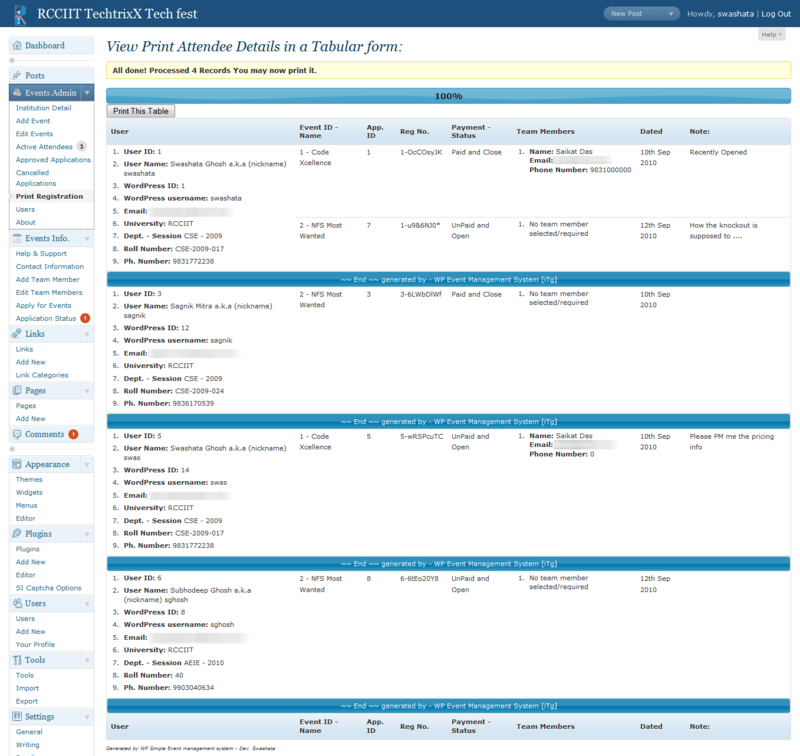 Events Admin – A place from where Administrators and Editors can add/edit events and manage attendees. Events Info. – A place from where all the users can apply for events, add team members, check application status, update contact information etc. 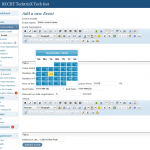 The plugin was developed mainly for college/university/school event management. 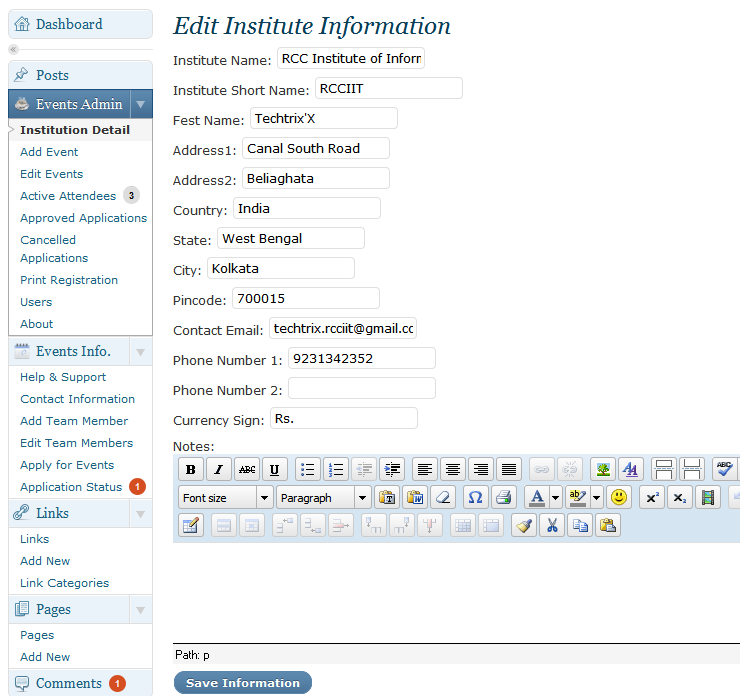 So, it supports all academic details one needs to enter to uniquely identify him/her. 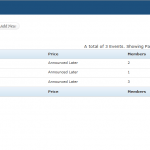 Also, while administrating events, you can set price, discount, event description, venue and much more. 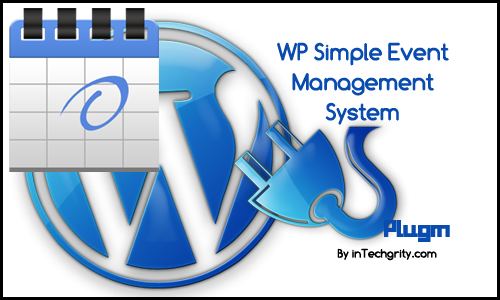 Just use this plugin to know how. There are two video tutorials as of now. 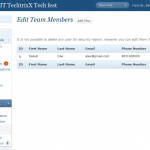 One tells you how to use the admin section, and other how to register and apply for events. 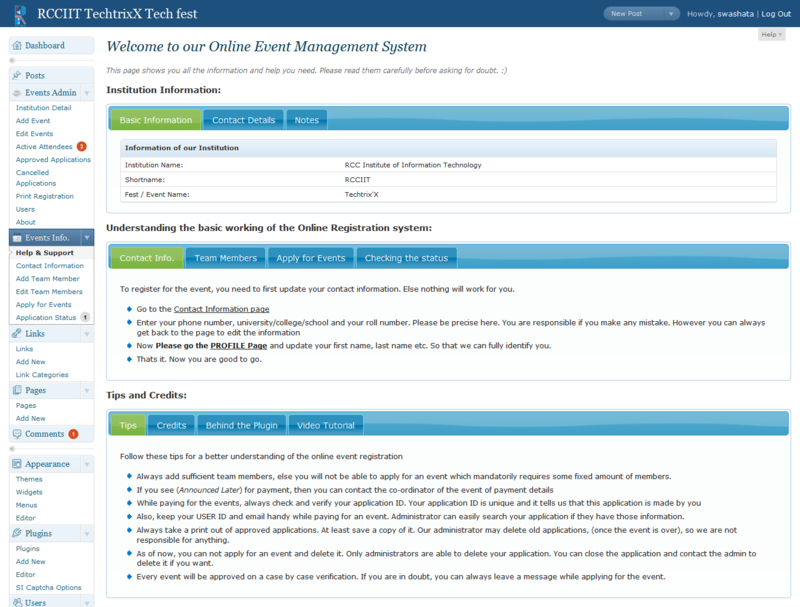 User are required to register to your site for applying and managing their events. 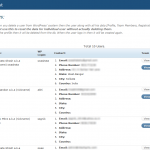 User registration is fully integrated with WP. 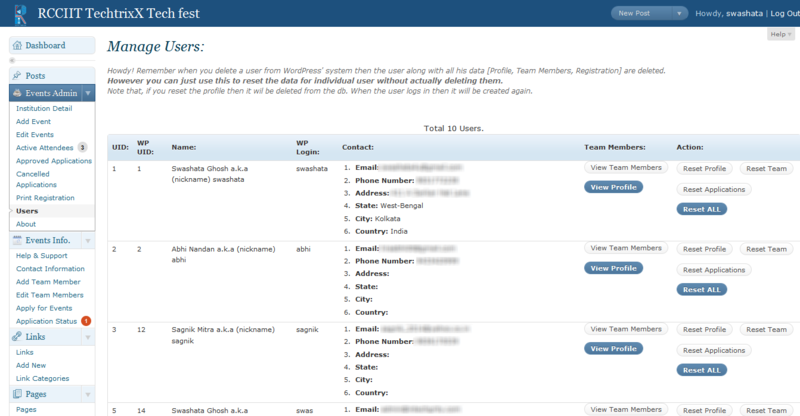 If the plugin is activated, then if you delete any user from WP panel, then it will also delete his/her team members, profile, applications if present in the plugins database. 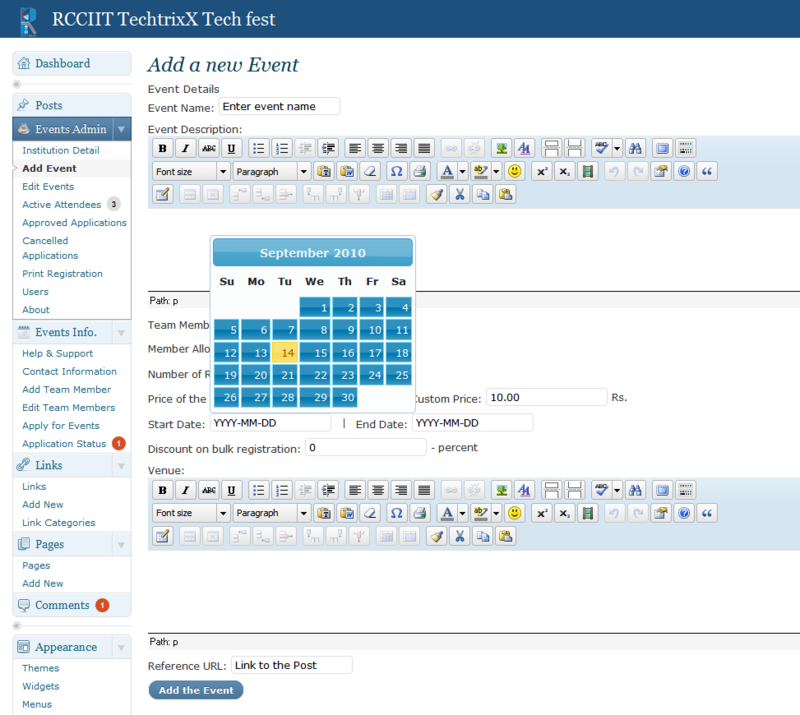 Admin can add/edit any number of events with start/end date, fully HTML enabled Description and Venue field. 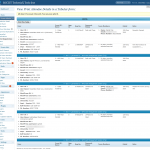 User can apply for any number of events. 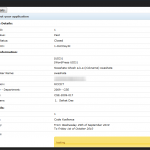 Generation of Unique Registration ID for every application. 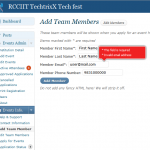 For a particular event admin can restrict the team members to whatever number and also can make the team members optional or mandatory. User will be prompted accordingly. 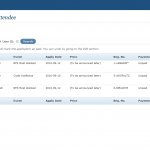 User can check status of their application. 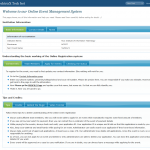 Admin can approve user application. 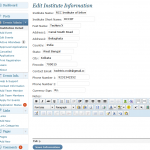 User must enter phone number, optionally inst. name, address etc. His email and name is integrated with the wordpress account. 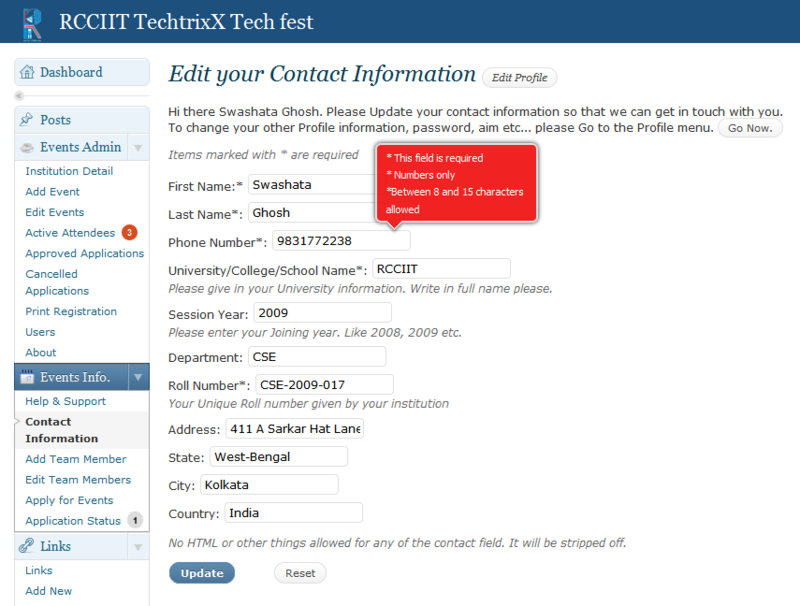 User can apply for events only after complete profile update. Admin has complete control over everything. 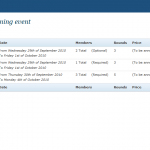 Any user type can apply for an event. Whereas only admin and editor can manage events. 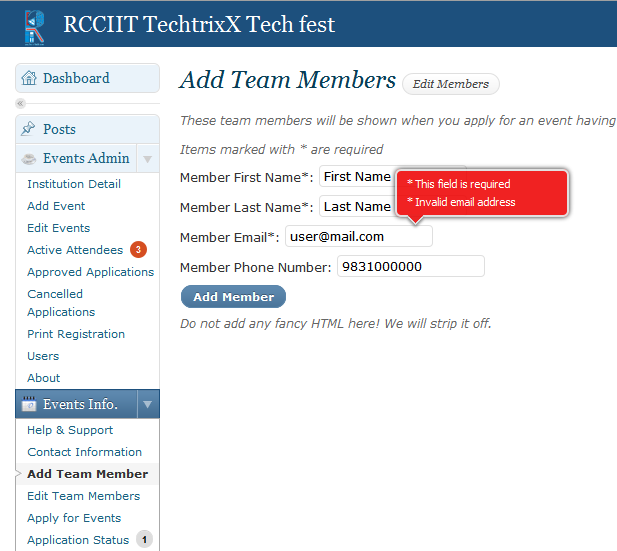 Event detail, Member Detail, Application Status etc all are fetched via AJAX over a jQuery thickbox, which gives user a cool interface. 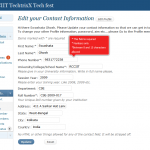 Administrator can print all the registration within a specified date range. 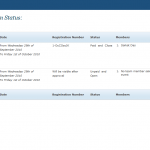 It will give the registration table grouped by applicants. 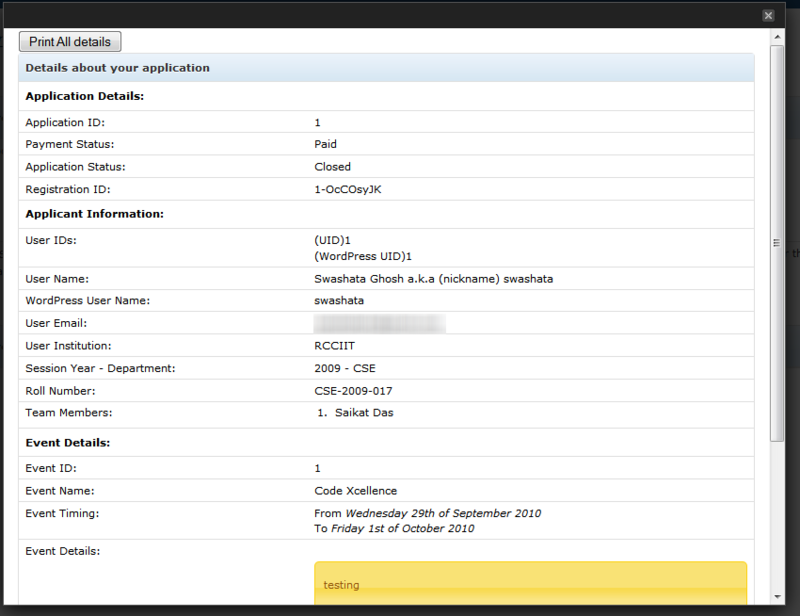 Usage of rich jQuery UI for the general applicant’s interface. Below are some screenshots which you can see to get an idea about how the whole thing works. And one more thing, as I have worked for this, I have learned some cool things as well, which I can’t wait to share with you! So stay tuned. Cool! Wish I had my hands on this back in college… I’ll download it and give it a try! We’ll try it out on a few of our test sites and report back. 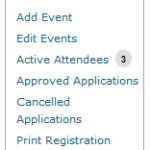 how do i display events to the visitors ? 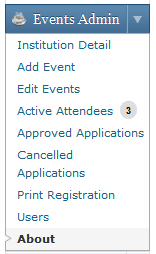 I have updated the event plug in the admin panel, how do I get it to appear on the navigation tabs for visitors. Or in other words , how do it make it visible in the pages navigation tabs? This cool! 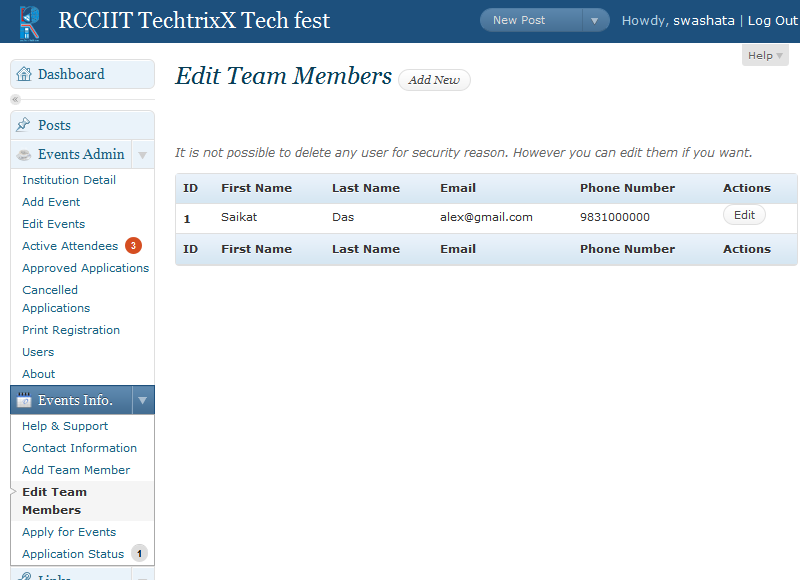 I will install it on my directory so that universities and colleges can use it for there events. 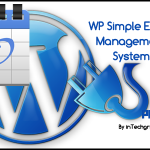 Does this plugin works withe newest WP 3.3.1? Does anybody tested it? I will see on our next college fest! Is it possible to add what events a user applied in the notification email.